Mixed with the warm golden lights of Diwali, we also had Akhanda Bhajans and Universal Dances of Peace otherwise known as Sufi dancing. It certainly was a weekend of Love and Light! The Divine Mother danced and sang through our hearts with blissful abandon. The Sufi dancing was held at the Yoga Shakti Ma ashram this Sunday morning. As we danced and gazed into each other's eyes and hearts, a thousand flowers bloomed within. Tears of pure rapture fell inside our Sufi circles and mingled with the rain falling softly outside the circular wooden pavilion. I was so happy to see a fellow artist from Strawbridge art Gallery, R. Bacrania attend the dances, she surprised me with a lovely gift. 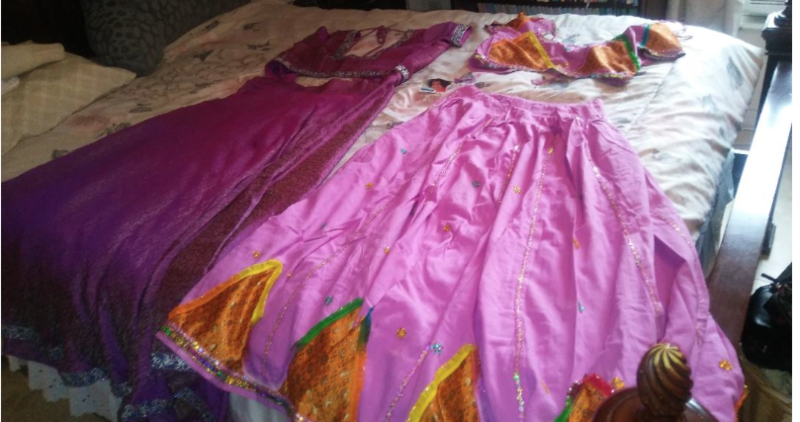 She had some beautiful Indian skirts and tops that she wanted me to have. I knew this was the divine Mother blessing me with a sweet gift. The last time there was a festival here She gave me sequin studded crowns. I have not been feeling well these past weeks dealing with neck spasms and vishuddha stuff. So these felt like get well gifts from the Blessed Mother. 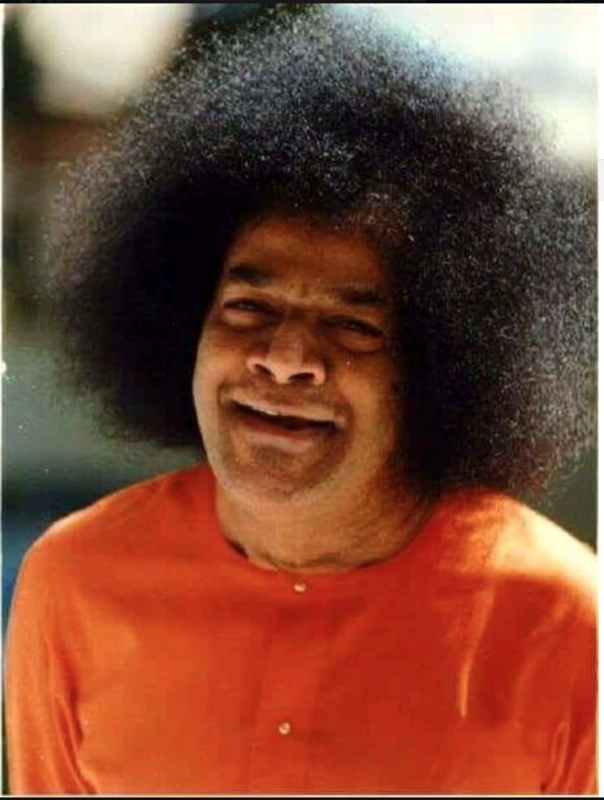 The crowning sweet leela which described how our beloved Sai is always, always with us no matter what we are going through, happened when I returned home after the dances. 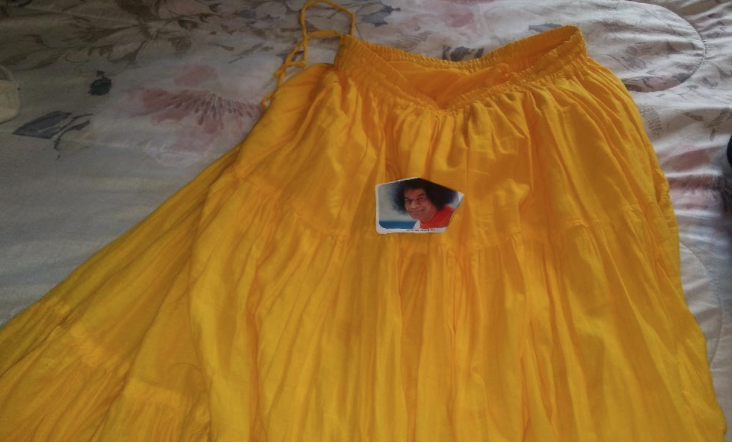 As I took off my golden skirt, Swami's picture fell out. It must have gotten tangled up in the skirt this morning but it was so incredible that it stayed there. Our beloved Sai whirled, and swirled with us in starry circles as we sang and danced this magical, enchanting weekend. Always remember beloved God in whatever form or name you adore is at the core of your existence dancing with you forever!